Did you know your website can rank better than #1 in Google? You’ve probably noticed answers to your searches appearing directly in Google. That’s called position zero. Learn how to leverage your content to rise above the competition and achieve position zero results. In this webinar, Lindsay Halsey of Pathfinder SEO, will share a 4 step process you can apply to your content marketing efforts to leap to the top of Google. Lindsay Halsey teaches business owners and freelancers how to get found in Google, Yahoo, and Bing. After ten years as a partner in a search engine optimization agency, Lindsay noticed that the two traditional approaches to SEO – hiring an agency and doing it yourself – left many people behind. Either the cost of hiring an agency was prohibitive or the DIY solution was overwhelming. Lindsay and the team at Pathfinder SEO thought there must be another way and developed guided SEO. Through Pathfinder SEO, trainings, webinars and WordCamps, Lindsay shares an SEO process to go from lost to found in the search engines. 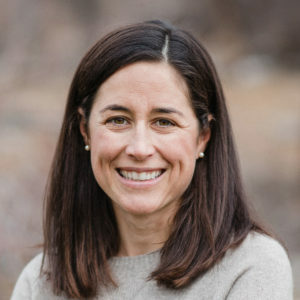 She lives in Basalt, Colorado and enjoys hiking, biking, and skiing with her family.